This was a new brand name to me that I hadn't tried before, but brought to my attentions by Tom and Will who asked me to try them out. In this review I am looking at the Puka PK PHC, from their Rosette Series, Concert ukulele in Fire Phoenix Black. Puka is a line of ukuleles made by a new far eastern builder called Pukanala (meaning 'sunrise' in Hawaiian). The brand make two lines of ukes - Pukanala and Puka - both in a range of sizes, and at price points that range from the cheap entry level to more serious intermediate solid wood ukes. I am not sure of the difference between the branding of Pukanala and Puka as ukes with each name carry similar spec ranges so perhaps it's just down to appearances. Anyway, this model is from the Puka Rosette series which comes in a variety of colours / designs including the intriguingly titled Hibiscus, Peace, Tropical Fish and this one in Fire Phoenix Black. 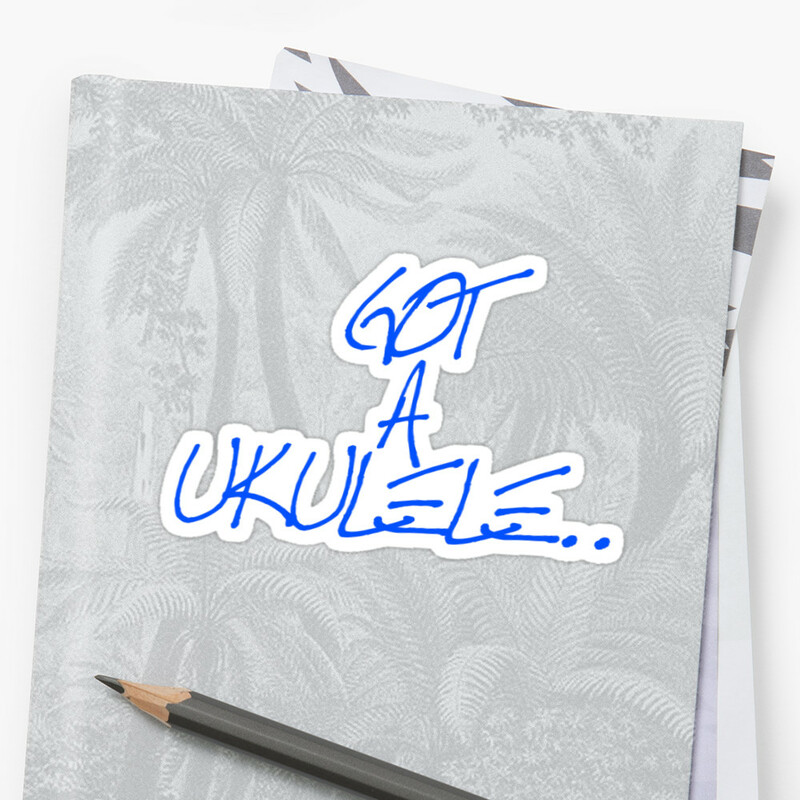 They also come in the usual ukulele sizes and the 'Rosette series' tag relates to the soundhole decorations that adorn this range. This model is classed as an entry level uke, and at an RRP of £75 for the Concert scale model is up there against the likes of the entry level Ohana and Kala ukes, as well as the ever popular Lanika LU21 series and the Luna tattoos. As such, in that price bracket it will come as no surprise that this is an all laminate ukulele. So as I say, this is a concert scale, but it is quite a beefy concert to my hands. Not only is the body depth deep but it has a fat lower bout reminding me of a jumbo concert in dimensions. I like that, and in a laminate uke, the more sound chamber the better if you want volume. The body is finished in a satin sheen which is very nicely done with no flaws to my eyes. Despite the term 'black' in the title it's more of a very (very) deep brown stain on the mahogany laminate body. The grain pattern of the outer mahogany veneer shows through the stain nicely, and it's pleasing to see that the grain patterns are straight and in line with the body on both the front, back and sides. Nice attention to detail often missed by others at this price point. The top and back are joined to the sides in a traditional manner, and a look inside shows fairly standard looking un-notched kerfling and bracing system. Generally inside all looks neat and tidy with no glue seepage and a simple Puka label behind the sound hole. Hiding the joins on top and back is a rather nice set of binding in what Puka call 'Mock Hawksbill'. It's plastic (and could equally be billed 'mock tortoiseshell' I suppose), though it looks the part and matches the colour of the body nicely. It's also applied neatly. 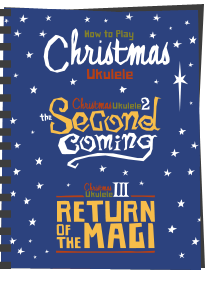 It's a nice touch that lifts the uke in my opinion and I don't normally go in for all that much binding or bling. Perhaps I like it because it blends with the dark body. The bridge is a fairly standard tie bar design made of rosewood, with an uncompensated plastic saddle. All fairly standard stuff bridge wise. Up to the soundhole and we see where the rosette series gets its name - a rather attractive design adorns the uke which reminds me of those on LAG ukuleles - kind of an offset extra detail at the six o clock position. It's fairly subtle, yet different enough to set it apart from its peers. That said, at this price point it is not surprising to see that it is a transfer not an inlay, so time will tell how it will stand up to strumming. Looking at the edge of the soundhole and I see the laminate is pretty thick on this model, and that is borne out by it's weight - this is quite a chunky uke not only in size but in ounces - and that should be borne in mind. 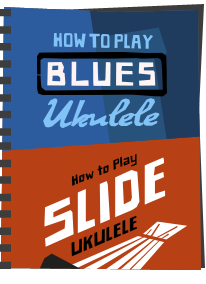 This is no featherweight uke, and that can sometimes be a worry on tone and volume. This is often called 'over-building' and can often sap an otherwise pretty instrument of the things it is built to do. We shall see how that large deep body helps to over come this. The neck is hardwood and made of three pieces (joint at the heel and headstock) and finished in the same dark brown / black stain and is finished well. It's quite a chunky profile neck that I like, and I suppose goes with the chunky body. Nut width is pretty standard for this price of instrument. The neck is topped with a rosewood fingerboard which is nice and even with its stripe and finished well. Frets are nickel silver with 14 to the body and 18 overall. They are fitted nicely and edges are smooth and well finished which is more than I can say for some competitors I have played at this price. Fret markers are in faux mother of pearl and fitted at the 5th, 7th, 10th and 12th frets. They are small and understated and look good. There is no double spot marker but, honestly, I've never saw the importance.. What is important to me though is that there are also small fret markers on the side of the neck which is extremely pleasing to see. Really - these are often absent on ukes many times the price - and these are the ones the player likes to use! The edges of the fingerboard are unbound so fret edges are visible, but as I say, it's tidy in its finish so this is no biggie. Up to the headstock we pass a plastic nut which has been cut reasonably well (not obviously deep or wide) and the headstock itself borrows from the traditional Martin crown shape. It's not faced with any veneer, but just the same neck wood in the same stained colour. The Puka logo is screen printed in silver and looks OK. Thankfully they went with silver as opposed to stark white like some of the competition. The tuners are sealed unbranded chrome affairs which hold tune but have the typical feature of this price point - some have slop or play in them and some are tighter than others! Not the best tuners by far but then at £75 that would be wishful thinking. Still, they can be swapped if you wish. So - overall - it's all very well put together and I think really rather attractive in it's looks. Quite a mean and moody looking uke and at this price nice to see something a little bit different apart from the dozens of orangey brown plain looking standard ukes. Sure, it has some tell tale signs of it's price - weight, cheap saddle, nut and tuners, but they all do at this price. As extra bonuses though it comes with a padded nylon zippered gig bag (of better quality than you normally see at this price) and Aquila strings (so no dropping more cash replacing the cheap black plastic strings that still plague some entry level ukes). So how does it play. Well, I set my expectations accordingly - it's not a pro instrument, but I loved the looks and size of it. Action and setup first of all - a little high at the nut causing some intonation errors on lower frets, but clearly not bad enough that cannot be very easily remedied by a dealer. (It's not my instrument so didn't try, but if I did would be a five minute job.) Action was a touch high for me, but I am fussy and perfectly acceptable. To hold, despite the weight, the chunky body feels secure and comforting and the neck is smooth and easy to play. Volume first. Wow! Quite a noisy little blighter. Despite the entry level laminate, that large body is doing a good job. This is actually a little louder than my tenor Fluke ukulele (itself a noise monster) so I was really surprised. 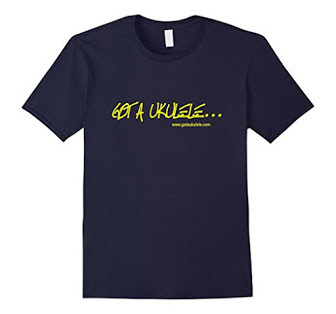 Full marks here - you are never going to struggle to be heard with this uke. The Aquilas are helping here and I suspect you may lose some of that volume with flourocarbon strings, but no matter. Certainly louder than a Kala and Lanikai I played at the same price point. Tone wise it is naturally a little thin and one-dimensional but perfectly functional. I can't wax lyrical in a review of a uke at this price and try to compare it to the chiming harmonics of a $1000 dollar instrument, but it's perfectly pleasing and would be a challenger for several solid top ukes I have played with prices quite a bit higher than this. It's sustain is reasonable and plays as nicely soft, picked or strummed like a demon. All in all, quite pleasing and nothing at all about it made me frown. So, I think it's a rather nice package really. 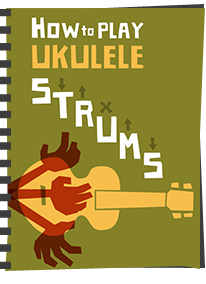 In the world of ukuleles, despite what some would have you believe the vast majority of beginner ukes for those moving on from their first $20 Mahalo are bought in this bracket - the sub £100 laminate uke that has a little bit more going for it. As such, there is a lot of competition in that range and I have played many of them. I think this uke has the looks to beat much of the competition and coupled with that large body and excellent volume is something I think you should seriously consider if you have this sort of money to spend. 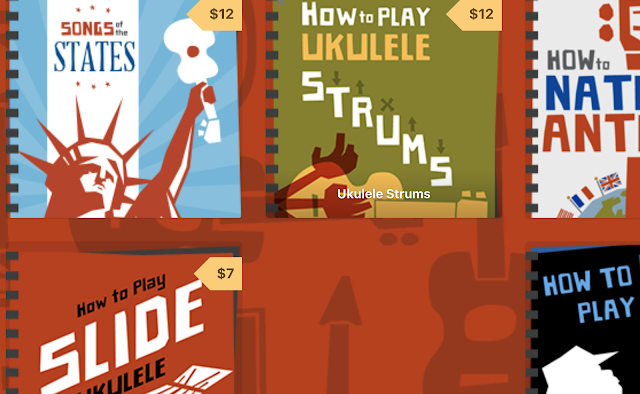 In fact a store I highly regard (Southern Ukulele Store) I see are stocking some of the range and have them tagged as 'easily as nice sounding as models twice it's price'. I would have to agree. It has it's downsides (weight, some cheaper fittings) but those are far out weighed by the looks and volume in my opinion. For me - if you were on your way to pick up a Lanikai LU21C, then I'd give this one a look first. Excellent starter uke. The Puka can be ordered from Tom and Will and other good dealers. I've been looking at Puka ukes for a while, will definitely be giving them some more serious consideration after reading this. Very helpful review! 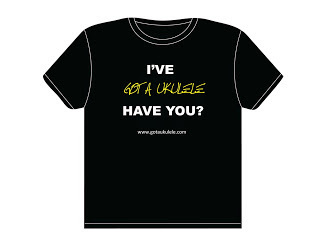 Am awaiting delivery of Puka concert uke to learn on, can't wait to get my hands on it based on your review! I have just bought one of these and I think it is a really nice instrument for the price. I play guitar but this is my first Uke so I don't have much to compare it too but I was having fun struming out a few Uke classics in no time and it sounded all good! I realize this is an old post, but I'm just getting started and I really like this one. However, the links provided for purchasing are no longer active. After doing research, I still had trouble. Do you know of any place that will send one of these to me in the US? Hi Joe - afraid the only contact I have are for UK distribution on these. Pukanala got a handcraft line in Taiwan for more premium ukes. The brand got Bruce Shimabukuro as the spokeperson of the Greater Chinese region.